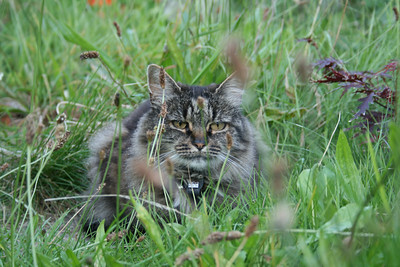 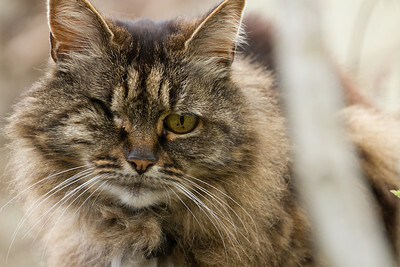 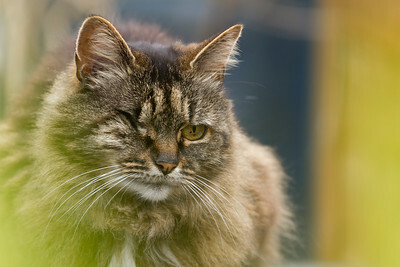 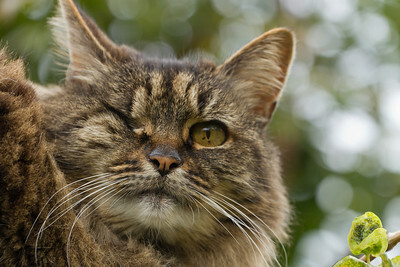 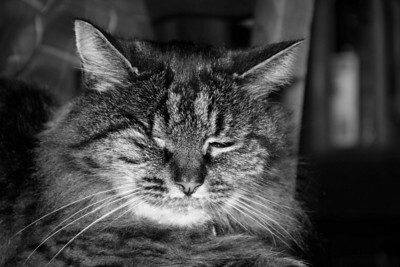 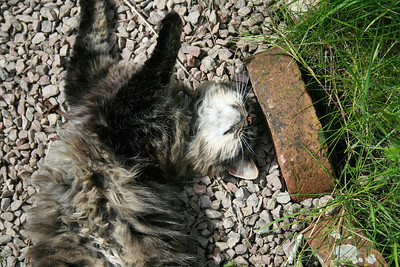 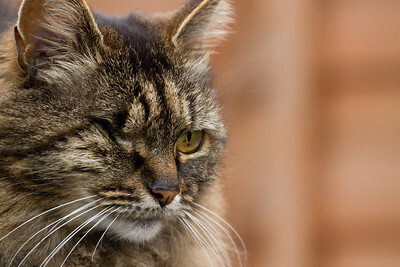 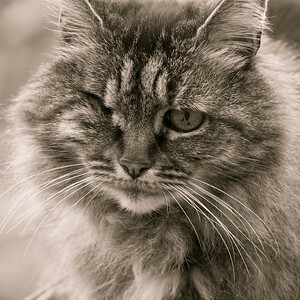 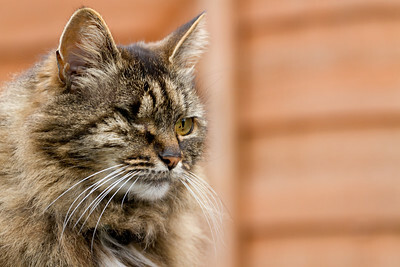 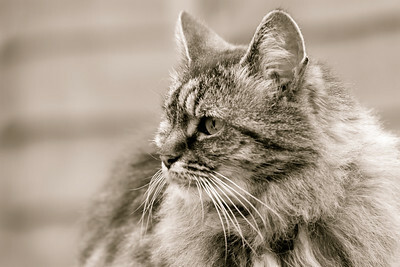 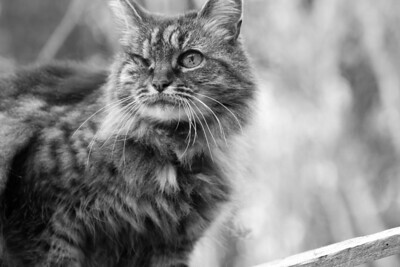 It's a bit of a challenge to get good shots of the cat these days, as she's lost her right eye. 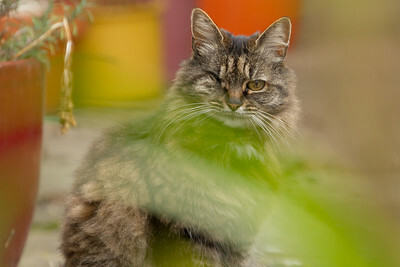 However it seems using flash to make her squint evens it up a bit. 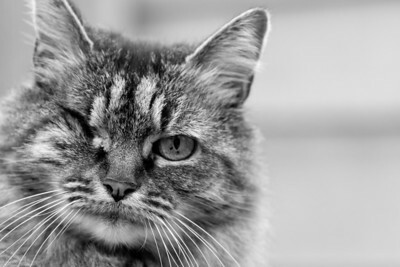 Poor Boo. 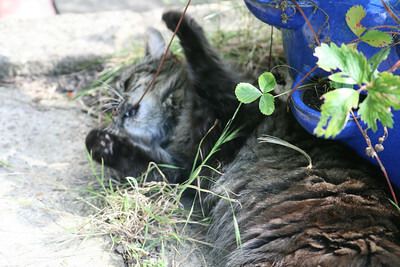 For some reason she decided to fight the strawberries. 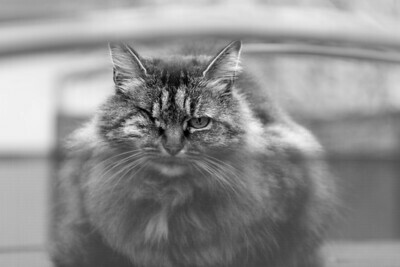 Even though the autofocus chose a leaf instead of the cat, it captures her inherent lunacy so well it's still one of my favourites.